(Reuters) - WestJet Airlines Ltd is eying branded fares and fees offering passenger perks to help boost revenues and margins, as the Canadian carrier faces headwinds despite reporting earnings that beat estimates on Tuesday. Calgary-based WestJet has been rolling out these fares and ancillary fees, such as charges for added legroom, as it faces rising oil prices and uncertainty over labor conditions, with an arbitrator's final ruling on a new contract for pilots expected by year’s end. "We're seeing more and more opportunities for ancillary within that basic economy level," chief executive Ed Sims told analysts. WestJet stock has tumbled 27 percent year-to-date. "We are not where we want to be financially," chief financial officer Harry Taylor said. With higher fuel costs squeezing profit margins, airlines are scaling back on capacity despite strong demand. Sims said Canada's second largest airline will add more seats next year, both on international routes and on WestJet's budget carrier Swoop. System-wide capacity growth in 2019 is forecast to rise between 6.5 and 8.5 percent. But any increase will be "moderate" to protect fares, Taylor added. WestJet said it would defer taking four Boeing 737 MAX jets, originally planned for delivery in 2019, to 2020 and 2021. Earlier on Tuesday, WestJet beat quarterly profit estimates on the strength of higher fares, but also predicted flattish revenues and higher costs for the last three months of 2018. It expects revenue per available seat mile (RASM), a key industry metric, to range from flat to up 1.0 percent, helped by higher demand, but hurt by an end to a codeshare agreement with U.S. carrier American Airlines. WestJet also expects cost per available seat mile (CASM), excluding fuel and employee profit share, to be up 1.0 to 2.0 percent in the fourth quarter, which some analysts said could pressure margins. The company's share price initially slid 1.7 percent on the outlook but then recovered and was up 0.52 percent in mid-day trade. Sims also said WestJet expects to begin contract talks with its unionized flight attendants during the first half of 2019. On Tuesday morning, the carrier reported a net profit of C$45.9 million ($35 million), or 40 Canadian cents per share, for the third quarter ended Sept. 30, down from C$135.9 million, or C$1.15 per share, a year earlier. Average analysts' profit estimate was 33 Canadian cents per share for the quarter, according to Refinitiv data. 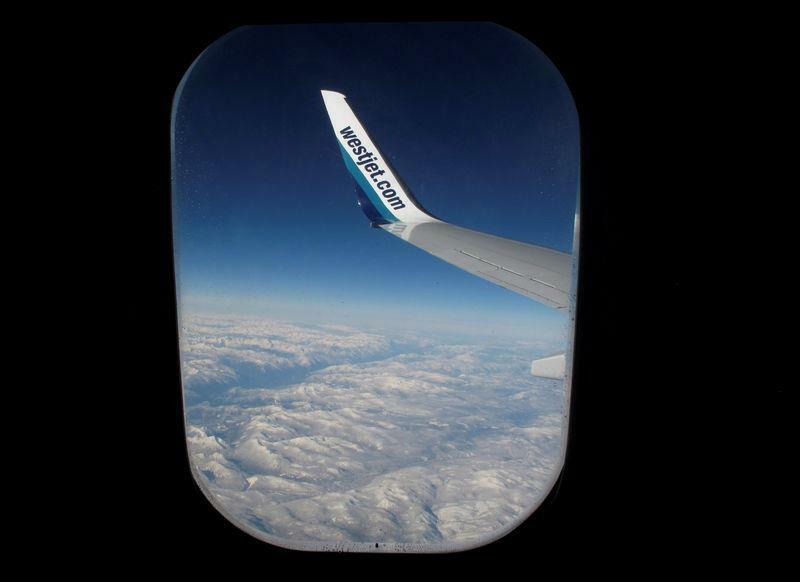 WestJet's fuel costs jumped more than 30 percent from a year earlier.